When I'm out running errands and know I'll need to stop to pick up lunch, there are always lots of options for fast food. But if I am anywhere near a Panda Express, I will pass up all the burger and taco and chicken joints and head there. And here's my regular order. 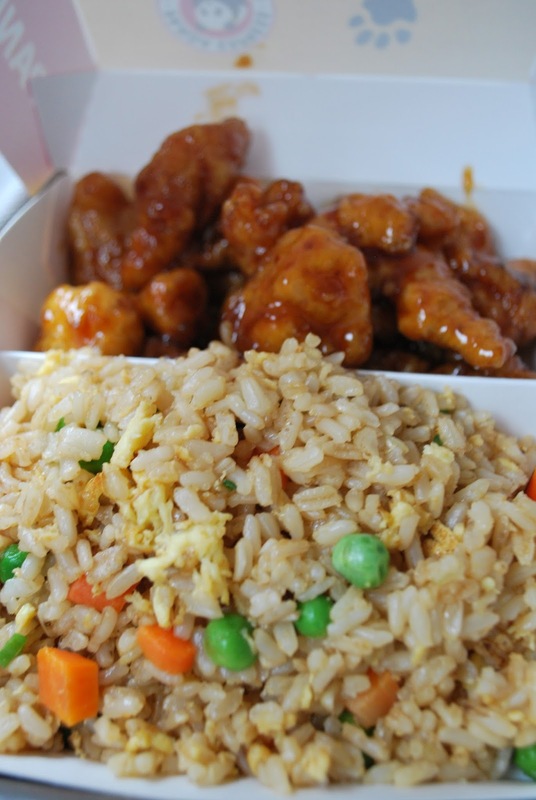 The kid meal - a reasonable sized serving of orange chicken with fried rice as a side. It comes with a chocolate chip cookie and a drink - $5.13 with tax. What's your favorite fast food meal?